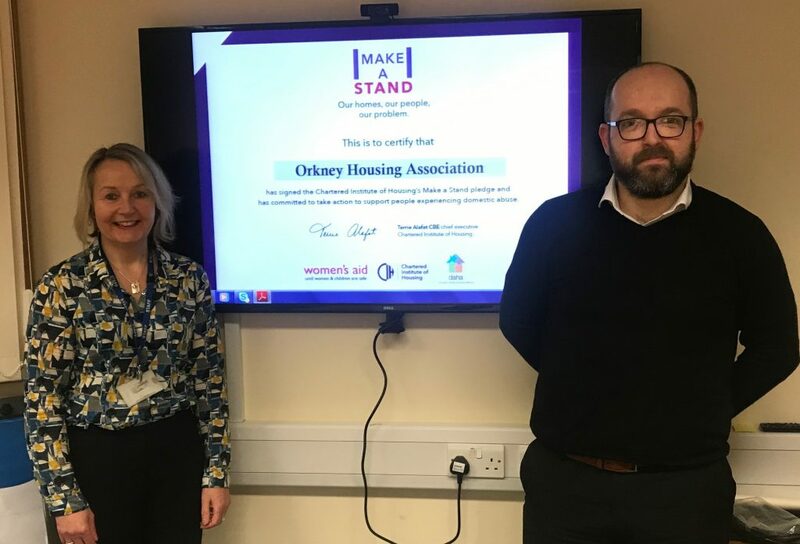 Paul Scott, head of housing and customer services at OHAL and Maureen Swannie, chair of the Orkney Domestic Abuse Forum. Orkney Housing Association (OHAL) has given its support to the “Make a Stand” campaign developed by the Chartered Institute of Housing. The commitment is further supported by the Orkney Domestic Abuse Forum. • Appointing a champion at a senior level within the organisation to own the activities which will support those experiencing domestic abuse.